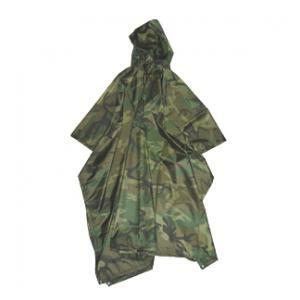 This poncho is made of nylon rip-stop. It has a drawstring hood and snap closures. One size fits all. Made in the U.S.A.